Since January, I’ve been teaching a creative writing workshop to ninth graders at Academy for Conservation & the Environment, a public school in the Canarsie neighborhood of Brooklyn. My students are black and brown, from mostly working-class backgrounds, and only a few of them have experience with creative writing. 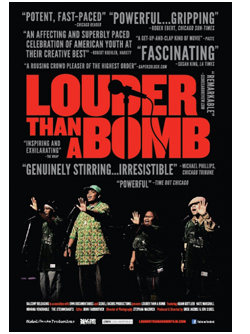 I’ve introduced them to the work of writers from their neighborhood, like the poet Martín Espada, who grew up in nearby East New York, and to the Steinmenauts slam poet team from Chicago featured in the documentary Louder Than a Bomb. I have no shortage of quality young adult literature to bring to the class — books by Kwame Alexander, Matt de la Peña, Zetta Elliott, Kekla Magoon, Jason Reynolds, Angie Thomas, Ibi Zoboi, and others to come. At the end of the workshop, each student will go home with their own book to keep. They are the next generation. They are taking their first steps as writers, but I see the joy and the promise in each of them as they tell their stories. Many of them write about sports — right now the most important thing in their lives — and they portray the hard work that goes into becoming a standout basketball player, the way that the crowd’s cheers in the armory spurs them to run faster in a 600 meter race, how track and field is a metaphor for life. Others go places in their imagination — to a Bronx filled with zombies, on the oceans in search of a solution to global climate change, to a celebrity-studded Hollywood where two sisters vie for the favor of their fabulously wealthy father. 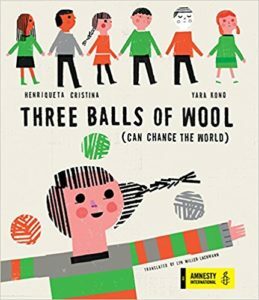 Others focus on the challenges of daily life — babysitting too-energetic younger siblings and cousins, searching a dusty basement in search of old family pictures and the secrets they contain, convincing school authorities to let a struggling student start a new club. It means a lot to my students and me to see writers who look like them not only achieve success but also be the ones who, through their stories, cut to the heart of what it means to live in the United States today. Theirs is a literature of witness that, like all great literature, points the way forward by making readers think about their lives and the lives of those around them. 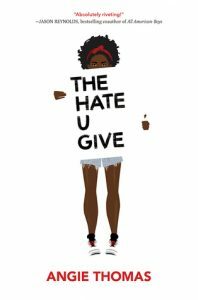 Angie Thomas’s The Hate U Give ranks among the best of these books. In its nuanced portrayal of a police shooting of an unarmed black teenager, the community from which he comes, and the society that has denied him justice, the novel makes me think of the literature of the Latin American boom — those stories that captured the strangeness and terror of life under brutal dictatorships established to maintain the power of the richest families and to subdue the rebellions of the dispossessed. 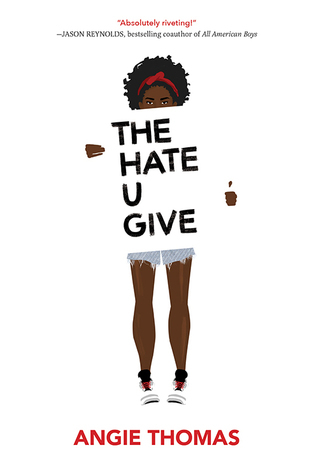 The Hate U Give is inspired by THUG LIFE, Tupac Shakur’s famous acronym that stood for “The Hate U Give Little Infants F***ks Everybody.” (Sorry, but this is a family-friendly blog best known for giving advice to people visiting Portugal.) 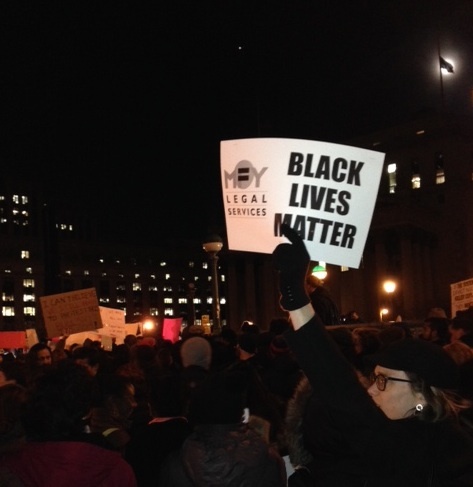 It is both a statement of Black Lives Matter and the story of a 16-year-old girl, Starr Carter, with her own life and problems who is thrust into the spotlight when she accepts a ride home from a party with a childhood friend, only to watch police stop the car and shoot him before her eyes. Her beloved uncle is a police officer, caught in the middle when she bravely testifies against Officer One-Fifteeen, who treated her and her friend abusively before shooting her friend. Starr, whose mother is a nurse and whose father owns a grocery store in their mostly poor, mostly African-American community, attends a private school in a suburb 45 minutes away and navigates the two very different worlds, serving as a guide to readers through her first person narrative. Hardly an activist before the shooting (though a picture of Emmett Till’s body that she posted on her Tumbler the previous year led to tension with one school friend), Starr learns both the importance of and the costs of speaking out. This #ownvoices novel takes its place within the growing body of post-colonial literature, demonstrating that books written principally for teen readers belong to this canon. As many white Americans contemplate what it may be like to live in a police state, The Hate U Give — inspired by a poet, rapper, and activist who died in 1996 — shows that African-Americans never stopped living in a police state. A hallmark of colonialism is the belief that some lives matter more than others, and while we shouldn’t have to prove otherwise (because it should be accepted that we all have the same rights because we are human), those who create the stories, bearing witness through their writing, are the ones who will build a culture and society based on justice and respect for all. Great review, Lyn! I’m glad to see this book being embraced by so many people. Two weeks in a row on the bestseller list! I hope this encourages other editors to publish and support more books by African American writers, and in a variety of genres in addition to contemporary fiction. Witness can take place at a slant through historical fiction, fantasy, and sci-fi/dystopian, as it has in many other places.